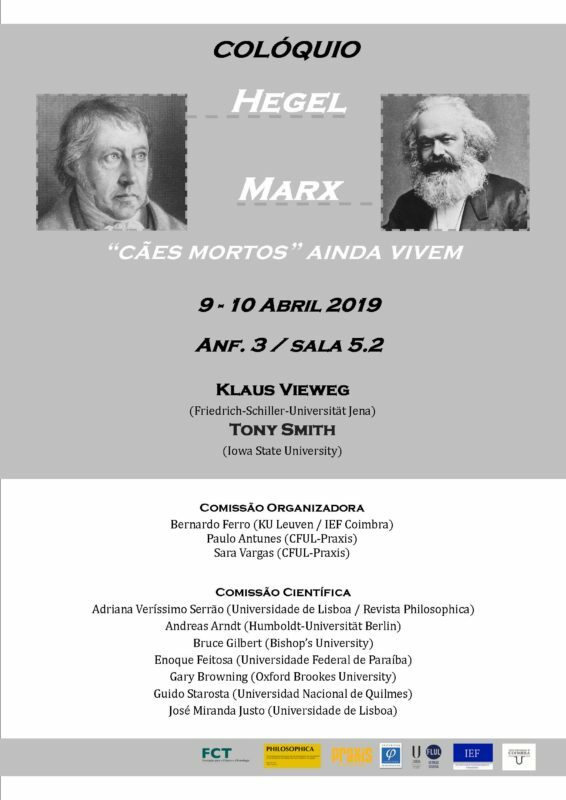 We are glad to give notice of the conference: Hegel-Marx: “dead dogs” still live, which will take place on April 8th and 9th, at the School of Arts and Humanities – University of Lisbon. You can find the full program on the webpage of the conference. Keynote Speaker: Klaus Vieweg (Friedrich-Schiller-Universität Jena) and Tony Smith (Iowa State University).